Four wanted subjects taken into custody after SWAT Call. Anthony Montano, 17, Jeremiah Abalos, 18, Christian Wood, 21, and Antoinette Duran, 29, were all arrested for multiple outstanding warrants. Detectives with the Albuquerque Police Department were conducting an investigation into Anthony Montano who was observed driving a stolen vehicle early Tuesday. Detectives followed Montano to an apartment complex located at 930 Louisiana Blvd SE. Montano went into an apartment and refused to cooperate with police to exit the residence. Detectives received information that Montano was inside the apartment with his girlfriend, Santina Diaz, and that he was possibly armed. Due to the actions of Montano the call was made a SWAT call. SWAT and CNT arrived and continued to make efforts to get Montano to comply with police commands. Negotiators were able to speak with Diaz on the phone where she told them she was not able to leave due to Montano was not allowing her to. Eventually Diaz exited out the front door of the apartment and was taken into custody. When she was interviewed by detectives it was determined Montano and Wood prevented Diaz from leaving the apartment by barricading the door. Officers were continuing to attempt to get Montano and Wood into custody and had learned from Diaz that another male was possibly in the apartment. After several hours, officers eventually took Montano, Abalos and Wood into custody without incident. Detectives wanted Montano for 6 outstanding Felony Warrants for the charges of Aggravated Burglary, Conspiracy, Felony Larceny, and Criminal Damage. Montano was also charged with Receiving/Transferring a Stolen Vehicle, Kidnapping, Tampering with Evidence, and Conspiracy for Tuesdays events. Wood was wanted and arrested on 5 outstanding Felony Warrants for the charges of Robbery and Conspiracy. Wood was also charged with Robbery with a Deadly Weapon, Aggravated Assault, Unlawful Taking of a Motor Vehicle, Receiving/Transferring a Stolen Motor Vehicle, Kidnapping and Aggravated Assault against a Peace Officer. Abalos was wanted on 2 outstanding Felony Warrants and Duran was arrested for an outstanding Misdemeanor Warrant. All these subjects were booked in the appropriate agency depending on their age and are known to be associates of a gang. 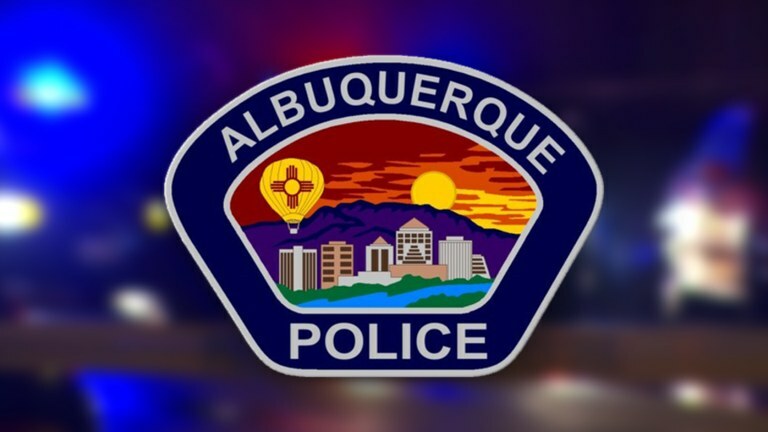 The Albuquerque Police Department wants to thank the community for their patience during this situation and for cooperating with police while this situation was resolved. The Albuquerque Police Detectives, SWAT, CNT and field officers did an outstanding job getting four wanted individuals into custody professionally, peacefully and without incident.